IFN has a troop (Troop #43059) with Girls Scouts of America. Build our daughters' Courage, Confidence and Character by Empowering our girls to come together to help make the world a better place. All while having so much FUN! 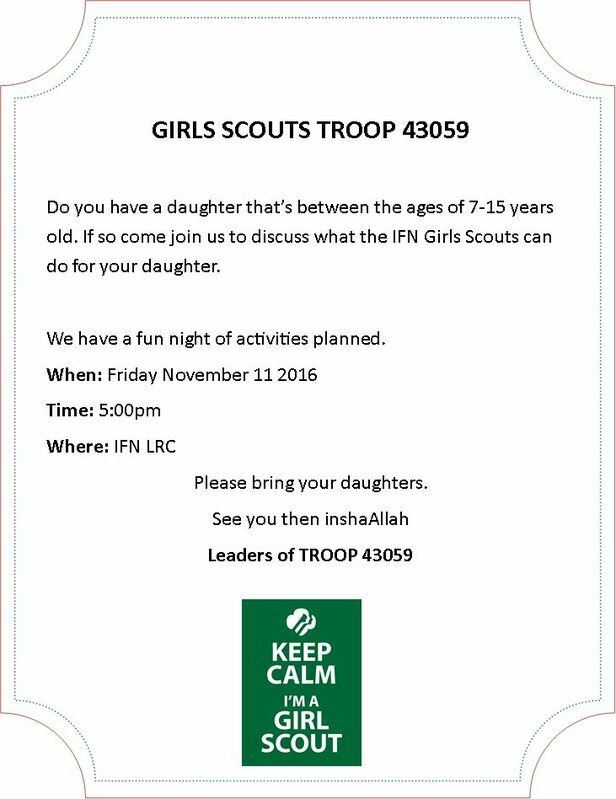 Come and learn how Islam and Girl Scouts share the same values and how we incorporate that within our program!